Hello fellow Splendid Sampler Sewists! I’m so excited about this project, and reaching the mid-point! 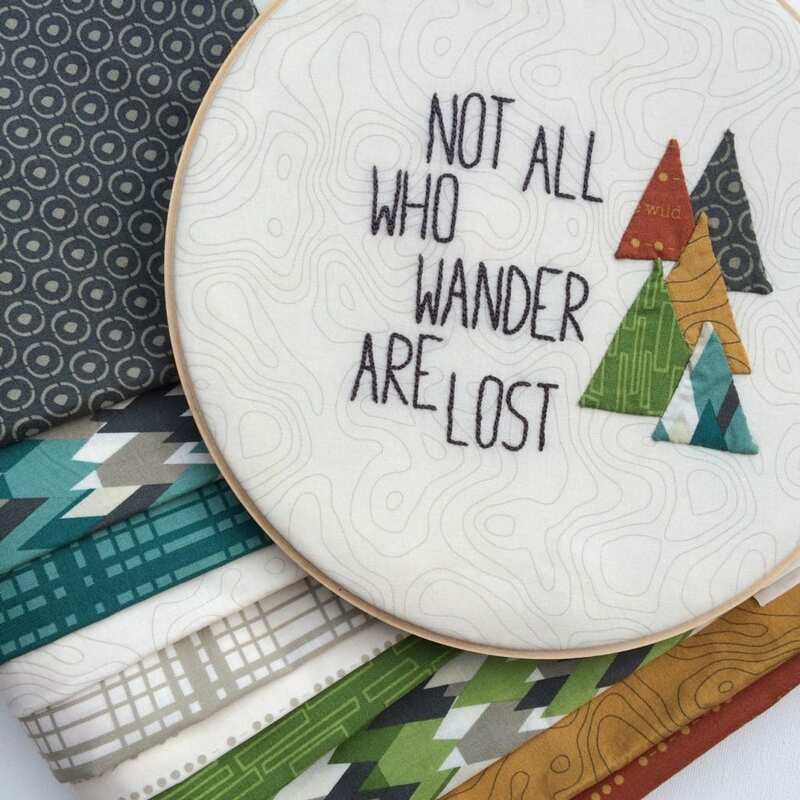 I’m here to let you know that it’s ok if you don’t have all the blocks done — It’s ok. There’s a number of things that have kept me from sewing my Splendid Sampler blocks, want a quick look? With the half way point of the project on the horizon, I printed out a few of the patterns that looked like I could finish quickly and had some fun stitching over the weekend. I’ve added some new fat quarters to my assortment, and I need to lay them all out again and see what colors I need to add to my next blocks. I don’t usually work with such small blocks, so these have been a fun challenge, and keep me practiced with the tiny pieces. One of my favorite ways to keep little pieces in check is pins. Not the most glamorous tool, but they do the job! I tend to pin at an angle so that I can easily pull the pin out at the last moment, before it goes under the needle. If you aren’t a fan of pins – these are worth the try! They are super fine, perfect for the small pieces, and super sharp too, while not so large that they leave a hole in the fabric you pin together. **Giveaway – Enter to win a new pack of pins + some other goodies! To win share your favorite tip for sewing all the blocks, and I’d love to know how many Splendid Sampler blocks you’ve sewn. I’ll select a winner on August 10th – Good Luck!! PS – There’s a list of partners celebrating this week over at The Splendid Sampler – be sure to pick up block instructions too! I’ve been able (so far) to keep up and complete 49 blocks. I have so enjoyed this journey and thank everyone involved who donated their time and talents! 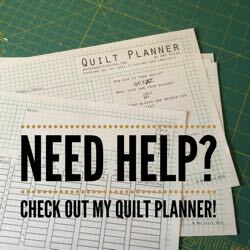 I am not sure that this is a tip but my favorite tools for the Splendid Sampler have been my 6.5″ square and my 2.5″ square. They make cutting the block pieces so much easier plus they keep my measurements more accurate! I have finished 35 blocks with 2 still in process. Thanks, Amy! Hi. I sewed 50 blocks so far. The original plan was for a 7 x 11 lap quilt, but since ALL of the blocks are xuper cute I may make two quilts out of them. How I sew them? I choose fabric = the hardest part, even though I more or less only have red and green striped and dotted fabrics with a few text ones in between – and then start :-) Easy and delightful! STARCHING THE SMALL PIECES REALLY HELPS. I HAVE COMPLETED 47 BLOCKS SO FAR. My favorite tool for the Splendid Sampler is my 2 1/2″ square. I am still trying to catch up, I have 21 blocks finished. I have been doing pretty well keeping up with all of the blocks. I like to print them off right when they come out. Then I pick out my fabrics and cut the pieces out or get them ready to go. I long arm quilt during the day so, evenings are spent getting blocks or other projects ready to go when I spend time on Saturdays and Mondays sewing with a group of friends. I stay organized by using page protectors to keep my pattern in along with the pieces I cut out until I get them sewn together. I have enjoyed this journey so far. It has made me stretch and go way out of my comfort zone to try new techniques. Thank so much. I have sewn all the blocks , plus the bonus blocks and a few more. My total number right now is 67. I have completed all of the blocks plus most of the bonus blocks. I am making it for my daughter using red, black and white. My favorite tool is the 6 1/2″ square. Helps keep everything squared up! Hi Amy those fabrics of yours are so lovely! Especially the one that is about ‘ one who wanders is not lost. I love that. I just have block 49 to do and Pat’s bonus block. No tip in particular but doing so many has improved my piecing skills and seeing the different fabric choices has been an eye opener. My favorite tool is my 6 1’2″ square! Super easy sizing blocks up!!! Since I am making three different Splendid Samplers in three different color schemes, (Civil War, 30’s and Blk/wht/red) I find that sorting and picking out my fabrics for each block and then cutting pieces out (or whatever the preparation for that particular block requires) on the first day is essential to getting them done. If I have time I also sew them that day. But if I’m particularly busy, organization is everything to keeping up! My tip: prep work! Organization I have all but block #20 done. I traced it and then misplaced it! LOL. The lost is now found (as I cleaned my Quilting Laiar last night) and will be added to the done pile soon! Precise measurements!!! A little block….a tiny bit off on the measurements and it REALLY shows. I’ve completed 45 blocks. Just 19 done for me, with a couple more in progress, plus one in the “do over” pile, lol! My most useful tips for making these blocks is to try everything, and take it slowly! I have most of the blocks and bonus blocks done. Only a few behind due to a wrist injury but I am still stitching away. Th e best tip is to visit each designer’s blog or page for any tips on how to do their block.I have learned so much from everyone and have made blocks that I never thought I would be able to do. I’m so excited for the next 50! I am a pretty novice quilter, so not tips. I have learned a lot though from the designers and the other quilters post!! I am plugging along on my #42 block. I have a few half done, you know, embroidery….sigh..and hexies…sigh again. My tips for making the blocks….check attitude…joy and fun should register on the meter, if not do something else for a bit. I am doing two different quilts with the blocks in brights and Civil War reproduction fabrics. It is best for me to cut out both blocks at tje same time. I then lay the pieces out on the boards. If there are any HST I do them all and place back on their respective boards. Oh, I always starch my fabric before I cut. Wow, the difference it makes in the block not stretching out of shape is astounding. My most important tip…. :) hang your blocks where you can see them while you are in your sewing room. Such encouragement. I am like you– not used to such tiny blocks! My tip is to find someone to bounce ideas off of or even teach you a thing or two. That is really been pivotal in my block creations! I just caught up and have sewed all 49 blocks. My tip is to try every block and maybe you end up enjoying the learning process. Tips: precut 3-4 blocks of the same type and do them together. I was very far behind (20 blocks or more) and I prepped all my machine appliqué and just left them by the sewing machine. As I changed thread for a project I would do that color on my project. After the week I had worked in all my appliqué blocks adding no additional time. I am up to date this far with 49 blocks done. My tip is .. take your time it is not a race. My tip is to not stress over the small stuff…it will be just fine because you tried your best and that is all that matters. I have 47 blocks completed and the last two hand embroidery blocks “under construction” . I’m really slow at hand embroidery. Having a fantastic time with this Splendid journey! I have finished 48 blocks. #49 is on hold until I get a baby quilt finished for my niece who is due August 18th! I usually drop everything to complete the latest block, but not this time! I’m on block 49 – hoping to finish tonight, just in time for BLOCK 50!!! Yahoo! What a great project – I’m loving the learning, the perfecting of skills, even the frustration, because when the block is complete, I love it! I’ve made all the bonus blocks and a few of the bonus projects; I’ve even made a few things several times as gifts. The adventure is awesome! I have been able to keep up to date so far. I left out a couple of the embroidery blocks but substituted them by using bonus blocks. So my total is 49 before I tackle today’s bonus block. My biggest tip would be to take your time. Even the blocks I thought would be very difficult were possible by just moving slowly. I have doe 45 blocks and 10 bonus blocks. My tip is to work on them when you feel like it, don’t be afraid to put one aside if you are getting frustrated, bored or overwhelmed. It took me a month to do Balls in the Air, a little at a time. and I ended up really loving it and had fun too. OH and pins, they can be your friends…. I am loving the sew-a-long. I have 46 complete with several bonus blocks. Of course my favorite tool is my 8″ square up tool. My best tip is measure along the way to completion. If smaller block units are not measuring correctly, the final block will not be precise. I can’t wait for the next 50. I’ve been collecting the patterns and will be starting with the embroidered blocks this weekend. I love working an a small scale, so these blocks are right up my alley. Starch, starch and more starch would be my tip for dealing with such small pieces. I recommend taking your time as this is not a race but more of a skill building, fun and creative process. A 6.5 inch square ruler is certainly handy too. Oh and I am using a washable glue stick as an aid to keep my small pieces together for sewing. It works great. 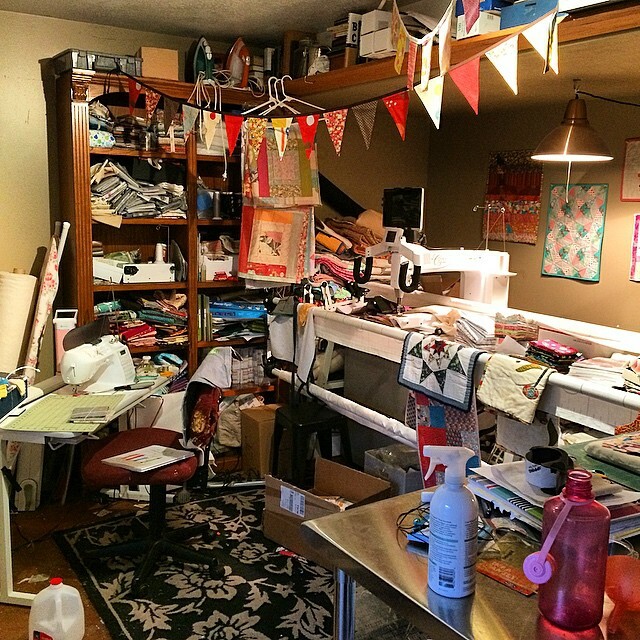 I have a steady supply of scraps and focus fabrics to choose from. 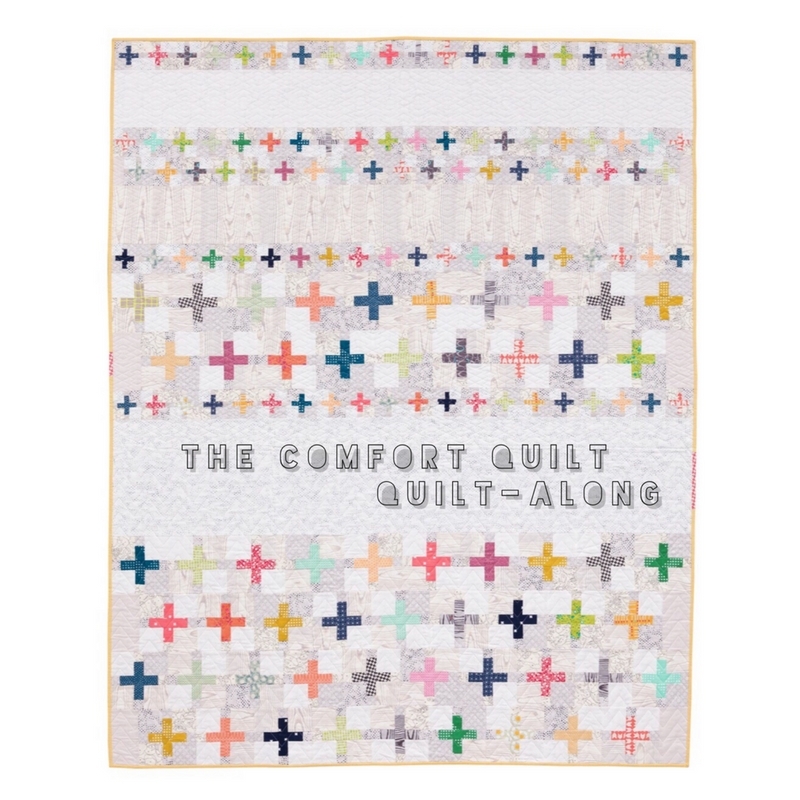 My sampler quilt will be an eclectic mix of fabrics that represent my personality. I have always looked for the thinnest of pins to use. They work the best. Oops, I have 40 blocks completed so far. I’ve made 42 regular blocks and 9 bonus blocks so far and I’m loving it! I know myself and I know that if I let myself get too far behind, I’ll probably stop – so I try to get the blocks stitched up within a week of when they come out. Know Thyself! Also, I allow myself to skip the blocks that use techniques I don’t enjoy (like those with intensive embroidery). The motto at my house is “if it ain’t fun, it won’t get done”! I’ve finished about half a dozen so far. My tip is to put all the patterns in those sleeves that fit a notebook and then when the block is finished, slip the block in the sleeve as well. I keep all my patterns and and all 6 of my blocks in a binder so they don’t get lost. I am currently on block 47 of my Splendid Sampler. A little behind, but not too bad. My best tip is to FOLLOW DIRECTIONS. Thanks so much for being part of this project! I will always treasure my Splendid Sampler… I’ve learnt so much! I’m up to date with 49! My best tip: relax and enjoy! I am up to date on my Splendid blocks. But because of the fabrics I am using, I am not doing any of the embroidery blocks. My best tip for those small blocks is at the tuna” press of the block, throw a book on it and let it cool. The block will come out beautifully flat. Oh my! I need those pins! I love Clover! And, I love fine, fine pins! I must have bought the wrong clover pins last time, because they all got caught up while sewing, I know I’m supposed to pull them out, but, I’m bad about that. BAD! I have been lucky and have got to sew all 49 blocks together so far, so good. I haven’t made any blocks yet, but I have them all downloaded and ready for when I am :) Thanks for the chance to win! My favourite sewing tip is take your time and enjoy the process. Rushing means you’ll probably make a mistake and if you’re not enjoying the process then quilting will stop being fun. Starching your fabric before you cut. 21so far. My tip change your needle frequently, it gives better results. I have finished 42 of the blocks plus most of the bonus blocks. my tip is to at least try each of the techniques because its just like food, you might be surprised to discover you really do like guacamole and english paper-piecing! I’ve made 19 of the blocks and much like you, I am easing my way and going with the flow. I work on them at my own pace so I don’t feel the mad rush to hurry up and get it done! I enjoy the process much more this way. And I pick up on skill sets and techniques. My tip: Enjoy the process, don’t rush yourself! I got way behind and found cutting several blocks and having them ready to sew made me be able to catch up much quicker than I thought I could. Tips by me: sew like you have all the time of the world, rush is a bad company! Take your time to see if your happy with your fabric choices. Starch is your friend and so are pins. Try new techniques like you’re watching a kind of movie you usually don’t see. If you don’t try, how will you ever know if you like it? I’ve made about 30 blocks so far. I’ve learned so much from all the designers, but I have to say using starch has really upped my game. It really makes a big difference. Thanks for your block and this giveaway. I’m about 25 blocks in. I will often lay out the scraps I want to use in a particular block just before I go t bed so it’s there when I have a few minutes the next day. Of course, sometimes I have to stay up late then. I LOVE your new fabric line! The colors are magnificent! I’ve only been able to make about 35 of the blocks….life happens and I have other projects that need to be done for special occasions. But I print the block and pull the fabrics each day the blocks come out. That way when I have a moment, I can stitch up the block. Thanks for your block Amy! I was ready for a breather from some of the more challenging blocks and sew yours came right at the perfect moment to spur me on! I have made 34 SS blocks and 7 bonus blocks sew far. Took time out to celebrate our 50th wedding anniversary last week…timely, right…50 years and 50 blocks…what a coincidence! I guess my tip is nothing ventured, nothing gained. Read directions twice, choose fabrics (this takes the most time!) and then sew at your own pace…the satisfaction at finishing the block is SPLENDID! Thanks for the giveaway! Being a late starter I have a lot of catching up to do. I have completed 48 blocks and all the bonus blocks. The little hexies is waiting for me to conquer ! I have also done some duplicates when the color coordination wasn’t quite right. My tip is to be sure when starting to piece …square yoiurself AND The block under the presser foot !! 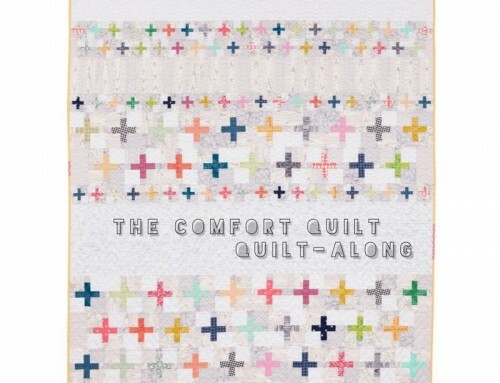 I am so in love with your Comfort quilt. I have to make it, it just draws me in. I’ve completed 56 blocks and bonus blocks plus add sashing in between as I go so I can see the bigger picture! My tip is to print out each block and have the pieces cut and ready to go…sometimes I will make 2, 3, 4…depending all in one day if I’ve fallen behind a little. Plus I get all excited to get the NEW block pattern and to see if it’s something I’ve not done before…have learned quite a few new things here. Forgot to mention how much I LOVE your new fabric line. I have two grown children living in Colorado and I know they would love a quilt made from these fabrics. Our youngest son just became engaged so a wedding quilt is in the planning stages. 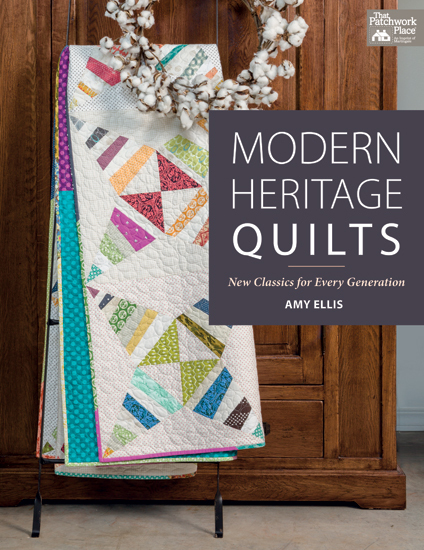 I signed up for your onlne Modern Heritage Quilt a long, but may have to choose another quilt pattern from the book to make instead…decisions, decisions! 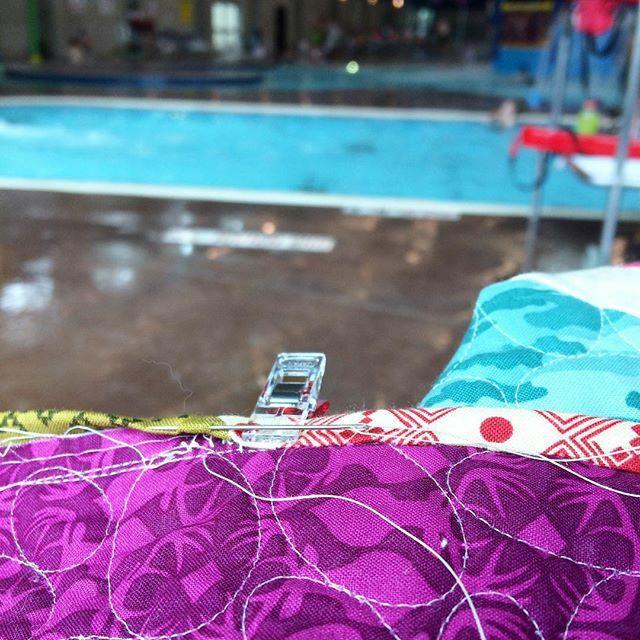 I am also eagerly awaiting the patterns for the newest fabric line…great work…loved the photos in your newsletter. Keep on designing, Amy, love your work! I am soooo fae behind. I have cut out five blocks and none are finished. I have been trying to complete some other projects first to make space for this one. I find pressing and starching the fabric before cutting and my 6 1/2 square help to keep all squared up. I have 2 done and 6 cut to sew . I also have some other projects I am doing. Like you, I’ve had other things in life tugging at me so I have yet to make my first block. Looking forward to kids back in school for some time toward the end of September. I have to admit that I am a pin snob and will only use the skinniest and sharpest in the market. These pictured are some of the best. I’m loving the cute embroidery you have with your fabrics, too! It seems to me that these blocks, like any blocks, take patience and precision. If you enjoy the ride, you’re dong it right. Haven’t done any yet, as working on the UFO pile. But now pulling fabric. ; I love all tips! I have 2 done and 6 cut to sew . I also have some other projects I am doing. I think pre cutting halps to get them done then you can sew when you want. My tip would be to check your quarter inch seam allowance. Sometimes a scant quarter inch is better. Finally learned how to change my needle position to bet a scant quarter inch. I have been sooo busy with baby quilts that I haven’t started the splendiferous splendid sample set of blocks. I WON’T be discouraged that I am 50 behind. Ooops, correction, I made some coasters with the heart paper pieced block. The tip I like about most of the blocks is that if we take our time, and approach it calmly we can do a block. I confess I have only made six of the blocks (been off on vacation the last couple of weeks…) but I love using my Creative Grids 2.5 inch square ruler. Really is nice to have!! Thanks for the chance! I haven’t sewn any blocks yet. I’m waiting to get my fabric sorted and my new sewing room set up. Maybe I’ll just print up pics of all the blocks and post them as decorations for the room. I have sewn 3 blocks then summer hit and all my free time was gone. I like starching the fabric. I get a more accurate seam allowance. I’ve only got 20 done with several one waiting for the hand stitching. I’m not use to making such small blocks so my advice would be to take your time. I haven’t made any blocks yet. My tip is try them all, I have fails but I am learning.. It has been a great adventure. I have 49 done. I’ve made 42 blocks. I love to use a post card to help when paper piecing. I fold the paper over the post card on the line, trim my fabric to 1/4″ using the “add a quarter” ruler. It keeps the fold/line crisp and makes it a nice 1/4 when done cutting. I then fold it back and sew on the line. My favorite tip so far this summer has been to put my cut pieces in zip lock bags and pt all the pieces in a box or container to keep everything together. I have not done any of these blocks yet but I am looking forward to making them when I get the time. My favorite tool for the Splendid Sampler has been the 2 1/2 square ruler for cutting up those tiny HST blocks. I also think it works well for me to sit down and plan out a block or two, cut the fabric and save for when I have a moment to actually sew. It helps so much! I’ve made 35.. first I make one from the scrap basket as a test block. favorite tip for sewing the blocks- iron, measure twice, cut once, (I think some of us have even made a block that echoes that sentiment!) and keep your cutting tools sharp! P.S. I love your embroidery (any use of a Tolkien quote is an automatic thumbs up here!) and new fabric design. Thanks for sharing and designing! I have completed 44 blocks so far and many are in progress (picking fabric is the hardest for me). Following the instructions carefully has helped me while sewing all these different blocks. I need to slow down a bit but it’s so exciting! Thanks for sharing and for all you do! My quarter inch ruler I use for paper piecing has been my greatest asset. So far I’ve been able to stay up to date with the blocks (so probably need to stop typing and start stitching! ), as I have this weeks Sunday’s and today’s bonus block yet to complete, but all the others are completed and awaiting assembly. That includes all of the bonus blocks and a few extras from Moda and a few others I’ve come across on various blogs. It’s been fun and I’ve learned LOTS!! and the small blocks have certainly been a huge challenge at times. Can’t say I was a quilter before starting this journey, and may not be able to say it at the end either! HA! But it’s been everything from frustrating to FUN!! Thanks for your contributions to this project!! My favorite tool is The Strip Stick. It’s a piece of wood, flat on the bottom, rounded on the top, and covered in muslin. I press most seams open, and this tool helps to get nice, flat seams, and my fingers never get burned. I’ve made close to 40 blocks and plan to catch up as I can. I look forward to Thursday and Sunday when the new blocks are released! I have made all the blocks so far and most of the bonus blocks too – it has been a fun, learning experience and I look forward to the next 50 blocks. 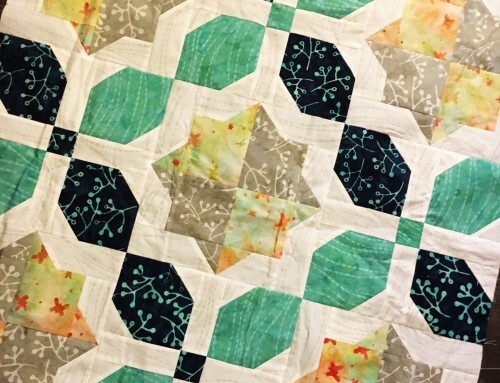 I think my best tip is to take your time and try to do each block – learn from it – sometimes it is learning that you don’t enjoy this type of sewing and sometimes you learn something new and decide it is something you want to do more of. You will never know which until you try it! I have got to get back into quilting!! I’ve been knitting and have had a wrist injury so have not done much sewing. I am getting psyched to get going again though. I have loved beautiful fabric since I was very young. I used to play fabric shop (when I was supposed to be going to sleep) with the double wedding ring quilt my Nana had made and was on my bed. I’ve just finished 17 blocks but I’d say my tip is – stretch yourself with new techniques but don’t get bogged down if you really don’t want to do a certain block. I’ve tried paper piecing and applique but honestly, I am skipping the embroidery. The best part has been seeing everyone else’s finished blocks! First off…love your fabric. Hubby and I drive semi truck all over country and spend time on rv for vacation so it fits us perfectly! I have completed 37 blocks and I do love my 6 1/2 ruler as a tool and my 1/4 foot! As fat as a tip goes, print out each block as it comes out. I tend to get the embroidery and applique blocks first because I can take them on the road with me. Put some of these types of blocks in a bag and carry with you. You can work on them during work breaks, while waiting on doctors or during intervals of time during the day. You would be surprised and how much you can get done working in these small windows of time. It seems that the hand work is what everyone gets snagged on so I hope that helps some! Heck…car pool and work on the way to work, just just please just pleased onto justpleasedontsew justpleasedontsew and drive…scary thought there! I think I finshed a bit more then half the blocks. My tip for tsewing them is that you choose fabrics you really, really, really love because sew-along is running a while and if you don’t love your fabircs it’s only half the fun. Hi! I only have 23 blocks completed, but I am hoping to get caught up with more over the weekend. All the excitement around the halfway point is motivating me to get going! I like to try to stay organized by keeping my Splendid Sampler fabrics in a separate bin and I keep my finished blocks in a binder with all the patterns, even the ones I haven’t started yet! My tip is to purchase a handful of large Binder rings from an office supply store and cut a 3 1/2 inch plastic canvas strip about 14″ long. Grab a few of your large orphan blocks out your scrap bin and sew them together with a 4″ inch sashing. Grab some more scraps, and sew those together to make a backing. Sew the backing and your orphan blocks right side together and leave a hole for turning. Turn that baby inside right and top stitch. Stick the plastic canvas strip in the middle and put your rings on. You’re making a cloth Binder here! Grab an embroidery needle and some crochet cotton and stitch right through the holes in the canvas to secure your binding to the fabric! Stick a button on the front center, secure a large loop of elastic to the back center as a clasp! Use sheet protectors or even big Ziploc bags (use a hole punch in the bags) and keep all your supplies, patterns, precuts, etc for the Splendid Sampler all together! Organization is the key! I just caught the SS bug at the “Meet in the Middle” event in Syracuse NY last week and have just completed my scrappy binder, printed all the patterns and have begun my FIRST block (Block 31). Thanks for the opportunity to win! I have done 45 blocks + some bonus blocks. One of the things I like best about this project is that we are encouraged to give ourselves permission to try new techniques and to plunge into things without overthinking them since we know that another block is coming out in a few days. The best lesson I’ve learned is to read the instructions carefully. And the second best lesson – it’s not a sign of weakness to use your seam ripper! I am behind by 18 blocks. I am loving seeing everyone’s creative juices. Because I started late (mid-June), I used a few organizational rules to try to be a little more efficient. I worked with about 10 blocks at a time, sorting them by technique (pieced, applique, embroidery, paper piecing) so that I could print out the foundation paper, fusing paper, etc., in groups of the right kind of printer paper. Then I laid out a “draft” of colors and fabrics for each block and tried to repeat here and there, because my quilt is a stashbuster and a little repetition of fabric and/or color helps keep the noise down. With those pre-steps done, I found it easier to stitch up a few pieced blocks plus prep backgrounds for embroidered and applique blocks. I was surprised – and happy – to discover that I was far more productive than I expected by doing the same kind of work on multiple blocks in groups. Such a wonderful project and so many glorious patterns!! My favorite tip is…be patient, with the blocks and with yourself. You can do any of the blocks but some take more patience than others. I have done all 49 blocks so far and most of the bonus blocks. I have all the patterns organized in three ring binders with some fabric pulled, but none finished. Don’t know if I like the fabric I have pulled. So hard! Will try to get started with the easier blocks, and work my way back to the embroidery! Completed to block 42 & bonus blocks – definitely spraying with Best Press is a great tip! Keeping my “palette” in a separate box helps when I assemble fabrics for a new block. The embroidery will be done when I have more time. I have about 30 blocks finished. I love to keep my projects organized in separate bins, I’ve completed all the splendid blocks plus the bonuses, surprising myself! I love my sewing time each night! I’ve done 48 of the 49 blocks released so far along with most of the bonus blocks (except todays Top of the Hill block). I plan to do #49, #50 & today’s bonus block before Sunday’s release of #51! It’s been a fun journey so far. I’ve sewed/quilted for many, many years. This journey has really helped me with my accuracy because all the blocks are sew small! Using Best Press is helpful. Using a scant 1/4″ seam is also helpful. I like to cut out 4-5 blocks at a time and then once I finish them I pack them all away for a few weeks. Then I get all excited revisiting them when there’s a new batch to work on! I’m sashing them as I go because heaven knows I WILL NOT sash that many blocks when I’m done with the splendid sampler. I’ve done 40 or so of the actual splendid sampler blocks and am adding in some of my own as well. I’ve started late and download the patterns as they come out but haven’t actually started my Splendid Sampler Blocks yet. My tips from working on other projects are to stay organized and enjoy the process. I love the tip about the cloth binder and keeping finished blocks and precut blocks together with the block patterns. Although I have a tendency to put them up on my design wall where I can see them and be inspired! If you don’t have time to sew, at least try to get the blocks cut and ready to sew. Then when you have a spare minute, they are ready to go. Also, when paper piecing, don’t trim the fabric from the pieces that will be on the edge of the completed block, this way, you have the extra fabric all around the edges when the block is sewn and gives you that little extra you may need when squaring the block to size. I am loving the Splendid Sampler. I have completed 47 of the block and most of the bonus blocks. I know my fabrics pretty well and I love thinking about the block and designing in my head until I can get to my sewing room. I love my 6.5 square ruler. Also Amy, I am making your Whispered Lace quilt from your Modern Neutrals book for my daughter. She has loved picking out the fabrics. Making it King sized and quilting on my domestic machine. Wish me luck and I will take any tips you have to offer! I love your modern quilts. I’m enjoying this journey even though I only have 19 blocks done. Forgot to say my tip. Even when I can’t keep up with the sewing, I do keep up with downloading patterns and storing them in a binder ready to go. I’m think my favorite tip is to enjoy the journey. Look at some other people’s blocks that they have posted on IG or on the splendid sampler site. Garner some of their ideas. Isn’t that what community is about? But always remember comparison is the thief if joy!! I have 44 blocks pieced, although I still need to finish the satin stitching on several of the applique blocks. I like to use my 6.5 inch ruler to square everything up. 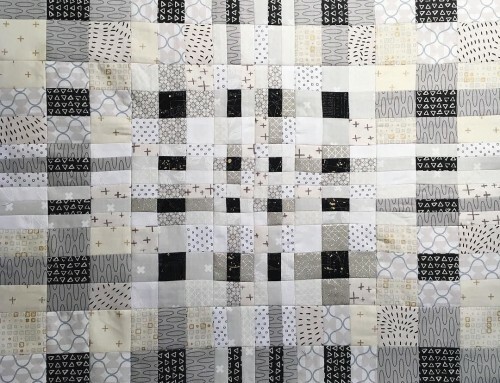 Hi – I have completed all 49 blocks and several bonus projects – my tip would be don’t get discouraged – Alyssa Thomas has kept me going with all her information and videos of each block – had never paper-pieced before so it helped a lot – thanks for your participation in this ‘splendid’ journey. My best tools would have to be my iPad and printer. iPad as it enables to me to see everyone’s sample blocks when they are released which sparks my imagination as to what to do with my block and I can store them for easy reference. My printer because it enables me to print the blocks and have them ready for stitching them when I get the opportunity. I’ve only made three so far but my “tip” is to slow down and take your time with measuring, cutting and sewing. It really makes a difference in your accuracy. I’ve done 29 so far. Remember to change my needle now and then!! I’ve completed the blocks and most of the bonus. I’m working on the bonus butterflies. I saved the hand stitching for my trips to visit my daughters in Texas. The favorite tip I learned and use is in paper piecing start with #2 and stitch all the way past the sewing line=sharp points. Thank you for your blocks. I was really creative with the last one! I always sign Sue W.
I’ve made 5 so far. This is all new to me learning a lot. I think that pressing all the pieces makes it easier. I like to use an old fashioned marking wheel for my paper piecing lines which make the paper easier to fold. I think the add a quarter rulers were one of the greatest inventions along with the rotary cutter. I also like my little travel iron for pressing. Ive done 49 blocks, but some I want to redo because I’m not happy with my fabric selection or my workmanship is off. I have been spending most of this year working on a Grandmother Flower Garden quilt. It has consumed me. I guess my tip would be take more breaks. Glue basting and my new Fons and Porter Quarter Inch Seam Markers for half square triangles. I have completed 51 blocks, but that includes some bonuses, some duplicates and some designs that I chose myself. I haven’t done 11 of the original Splendid Sampler blocks, mostly those that are all, or mostly, embroidery. I have finished 50 blocks, some being the bonus blocks, and have not made them all. I do not do very well with embroidery. My tip would be to iron and starch the little blocks well. I have made 32 blocks so far. I am not doing the embroidery or the hexies, as handwork I not my thing. My tip is do what you like so that ou will enjoy it. If something makes you uncomfortable, on’t do it. Life is too short to stress over things like that. I have made 46 of the 49 blocks. I have made a total of 59 that includes some duplicates and bonus blocks. I am loving this challenge. I have surely stretched my ability. I just love the learning! My tip is using spray starch and spray sizing. It helps me sew a better seam.. The two things that I done that have been most useful are starching and my 6 1/2 in. square. i have made 39 blocks and 4 bonus blocks so far. I use my 2 1/2 inch ruler a lot to square up my blocks. I have not started any of the quilt blocks yet, but have all the patterns in a three ring binder on my computer desk. I am anxious to get started. I have finished 49 blocks.Such a variety. I’ve enjoyed trying new things. My tip is to relax and enjoy the process. I have been adding my sashimi to the blocks as I go. I have finished 22 of the Splendid Sampler blocks. My favorite technique was to starch the material before cutting–essential for small blocks. My favorite tool is the Bloc-Loc ruler…..great for half quare triangles. I quit numbering and counting my blocks. Just do them as I can and prep the ones for handwork and work on them as I can at night. I think I have about 40 done, including some of the bonus blocks. As I finish and square up my blocks I put them in a sleeve page protector, along with the instructions, in a binder. I am on my second binder of blocks. (they are only 1 inch binders) . I am miles behind; time and selecting fabric are two big barriers. Not to mention a sewing machine that is buried. I know which room it is in but that’s about it. I think the idea of working on multiple blocks using similar techniques, it sounds like a promising and efficient approach. I am mostly up to date, just have to do the appliqué stitching on #49. Have enjoyed learning all the different techniques.I am liking paper piecing, and my favorite new tool is the add a quarter ruler. I’ve done 32 blocks. My tip for these small blocks is Starch is your friend. Use a 1/4″ foot on your machine. I have 20 blocks finished. I found the add a quarter ruler really helpful when doing paper piecing and watching Alyssa Thomas’ periscope feed. Learning sooooo much! Thank you. So far, I’ve completed 25 of the sampler blocks plus 3 bonus blocks. I got a very late start and then got delayed by life events. My best tip for completing these sampler blocks would be to READ the instructions thoroughly. Some of the the blocks looked simple and straightforward, but I learned the hard way to not assume. My biggest help(s) for these blocks gave to be starch and my iron. I am a fanatic about ironing when I am piecing any block. Starch just seems to take it to a whole new level. I have a spinal cord injury and sometimes small pieces just don’t work out well in my hands and starch definitely makes things more manageable. I have completed 24 and plan to visit my sister in law soon where it is quiet and I can make an effort to catch up. I have made 31 blocks with several ready to go under the needle. Starching has made a big difference as well has buying some very good rulers like Deb Tucker’s wing clipped, corner pop and Tucker Trimmer. I’m a fairly new quilter, but with the too many BOMs I’ve signed up for this year, I know that having more than one block cut out at a time helps me get them down faster. I work better doing 2 at a time sometimes with the 1 per month blocks. The Splendid Sampler blocks are smaller, and I’m hoping to get caught up. I need to start cutting them and have them ready for me. I’ve done 6 so far and stalled on the blanket one as I wanted to get my daughter (who can draw) to add some more heads peeking out for all my grandkids to show. I’ve decided I can sketch it myself, but I’ve been crazy busy. I WILL get back to it soon. My biggest tip is to use starch BEFORE you cut the small pieces, it helps the fabric hold shape and makes it easier to sew the small pieces together. I’ve completed 41 blocks. I have been able to keep up with all the regular blocks. I have not complete all the bonus blocks yet. I have learned that making scant quarter inch seems helps to keep the block at exactly 6 1/2″. Also checking my printer to see that it is set to actual size helps with the paper piecing and template pages. Thanks to all the designers! I am usually a day or two behind getting my blocks printed, so I get to see all the ones that are on time. It inspires me to get going and get ‘er done. I made 50 for one version (including some bonuses) and then finished that top. I’m over 50 with my scrappy version that I plan to finish. I’ve made little kits and put them with the pattern in plastic sleeves. I use Best Press when I iron the fabrics to help prevent distortion. I have 16 completed, but others are in progress. e sure that the outer edges of all blocks are on the straight grain of fabric; NEVER on the bias. I haven’t sewn any blocks yet, but I’ve printed them out and have them stored in pocket protectors in a binder. I created a binder to hold the printed block directions and added numbered tabs.I also have printed some of the blocks that people have shared and put them with the block directions. You can learn a lot about your own personal preferences from the work and choices of others. I am organizing with the intent to make blocks later when my hand has healed from surgery.. Great tips from the posters! I have 48 done . I find if you take your time you can do them all even if it is something you have never tried before. I have finished 30 blocks so far – really enjoying the process. Definitely agree with the above tips to use starch. Also, check unit measurements at every stage of block assembly. Best tip: do what makes you happy! My tip is to jump in and join the fun…. each block has improved my ability… even if it’s just the added ‘practice’ of making the blocks… I’ve made 48 blocks so far… and will be caught up before 51, as i have taken a road trip to visit a friend…. My favorite tip is to slow down and enjoy it! I have only done 9 blocks so far. My tip is to cut out 5-10 blocks so they are ready to sew when time allows. I have 18 completed blocks and 5 more in the working stage. I’m planning to have 10 more finished by Friday. I have completed 20 blocks so far. My favorite tip is to use sandpaper to grip your fabric when drawing lines across the diagonal. I have finished 28 blocks at this time. I continue to print them out the day they come out and pick fabrics for some even though I have not had time to sew the last two months. Work and gardening have both filled my days as late. I have just started, so i have a lot of sewing to do! My tip is to “pin,pin,pin” for accuracy!! I depend on my 6-1/2″ square ruler and lots of starch–these 2 have enabled me to tackle all the different techniques used in the blocks. I’ve got 39 blocks completed. Oh, bonus blocks! I have 9 of those done & made a baby quilt from one of them! I’ve made 48 of the blocks (some blocks more than once) plus a few of the bonus blocks. I made a baby quilt from 25 of my blocks which was very gratefully received. I’ve learned so much doing these blocks and feel that my piecing is so much better as a result. I love all rulers They my favorite tools. I’ve had a wonderful time making 49 SS block and the bonus ones too. I would say the most valuable tip I’ve learned so far is… slow down…! Another one is starch, dry, press before cutting. I have made 49 blocks plus all the bonus blocks as well. My count is 67 blocks. I am really enjoying this journey. The use of starch has helped me to maintain accuracy in my piecing. 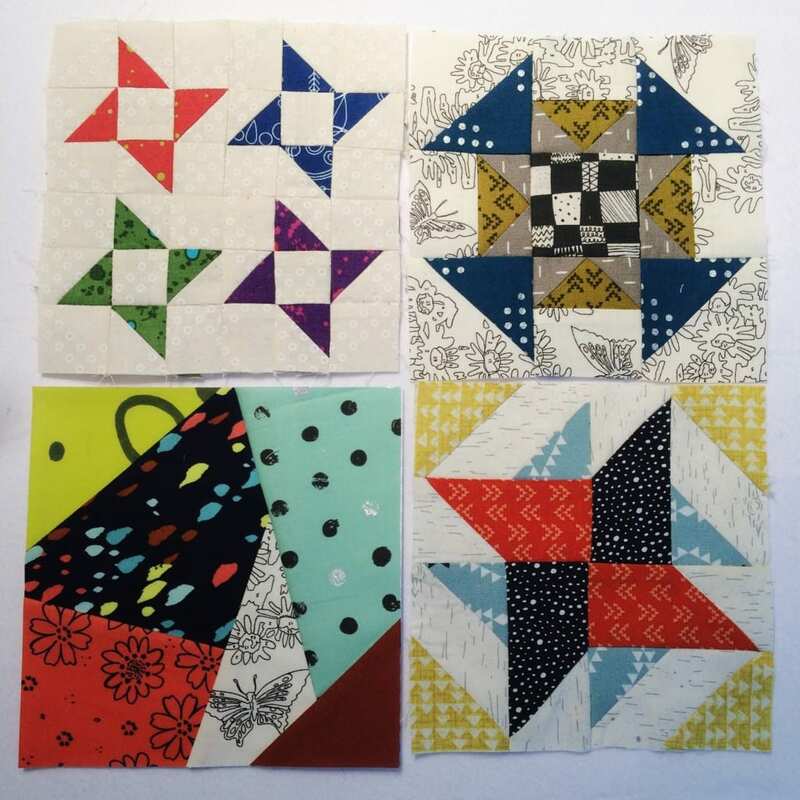 Well, I haven’t actually made any of these blocks yet, but I’ve made several mini quilts and I’ve become a fan of sashing strips, since my blocks don’t always square up just right. I started on the sampler 6 weeks ago and I have 23 blocks complete. I have another 6 blocks that require handwork prepared for working on at camp when I am off he grid working my sunlight or lantern light. To work through the blocks I started with the most recent block released then I went to the first block released. I alternate from the most recent to the oldest back and forth. If I get to any significant amount of handwork I do all I can to prep the block and gather up the supplies needed and pack this in my camp travel bag. I try to do at least something on my current least block everyday. There have been days that glancing at the block was all I had time to do. I’ve finished 40 blocks so far. I think I have about 28 blocks complete and another 10 in progress (applique that’s been fused, embroidery that’s been drawn). The best tip I have is to slow down. These pieces are so small that slowing down is the only way can stay accurate in my piecing. It’s not a race. We will all get there in our own splendid time. I have 0 blocks completed for my own quilt. I have the blocks downloaded and they will be ready to go when I find the time to start. My tip would have to be, if you get frustrated, take a break and walk away. Go do something else for a while. This works 9 times out of 10 for me. It seems you look at things with fresh eyes (and a new attitude) when you come back and can accomplish what you set out tot do. I started late and have one almost finished and several cut out and ready to sew. If I never finish a block, it is worth it just to see the creativity of the others. Thank you designers. So far, starch has become my greatest tool! I started using it with block 2 and it really keeps those little pieces from becoming distorted. I’ve made about 20 blocks so far. I just started this journey and have made 3 block . Best tip was to use 6.5 square up ruler. I sewed 33 blocks and my tip take time ! Yikes! I haven’t sewn any blocks, but I have very carefully saved them on my computer, one by one in a folder all of their own, so I guess my tip is to be very organized. I’m still working on Block 42. Finishing up a couple of other projects and resting my hands a bit. :) Taking your time and using spray starch are my tips. I didn’t used to use it before, but it sure helps! My favourite tip would be to always cut a background block for embroidery at 7″ as embroidery can pull the fabric in a little. When finished, trim the block to 6.5″. I have completed 63 blocks so far and loving it. I print the patterns as soon as they are posted. Then as I complete the block, I put that pattern in a large notebook. I have completed 44 blocks. I have made all the blocks so far and I love them very much! Along this journey I discovered the fabric glue pen which I love! It helps me in so many different ways!!! I love the tip from Jane Davidson regarding unfurling the seam in the back for a nice flat block. I have to admit, I’ve put The Splendid Sampler on hold for the summer. I am watching my 6-year-old granddaughter for the summer, and among the things I’m teaching her is how to sew. At last count I had 26 blocks done. She goes back to school on the 17th, so I’ll have time to catch up then. Have a truly splendid day! I have made 36 total blocks so far. My favorite tip for the blocks with tiny pieces is to use Roxanne’s Glue Baste It to keep the intersections in place until sewn, then I dab the glued sections with water to soften the glue, then open the seam and press. This makes it much easier to match points with no shifting during sewing. I’m ready for block 50. I learned about organization with this project. I’m doing scrappy batik as my practice block. I have little plastic baggies full of scraps – sorted by color. So much easier to make a plan. I have completed 44, 3 embroidery blocks ready to do, working on Balls in the Air now, and the mini hexie one I haven’t started. Also have done 4 of the bonus blocks. My tip / tool is using a postcard for paper piecing. I wasn’t using one at first, and it has made a big difference! I’ve done 38 so far! My tip? Trust the process…sometimes with those teeny tiny pieces it’s hard to imagine the final product will be “”right””. But the designers have done an excellent job of providing clear and simple instructions! I’ve been making them virtually in my head. But I like the tip of cutting the pieces out and having them ready when you’re ready to sew. Thank you for all of the time and effort you put into your contributions to our Splendid Sampler experience. My favorite sewing tips: Cut a few blocks ahead, so that when you find a few minutes to sew you can go right to the machine! 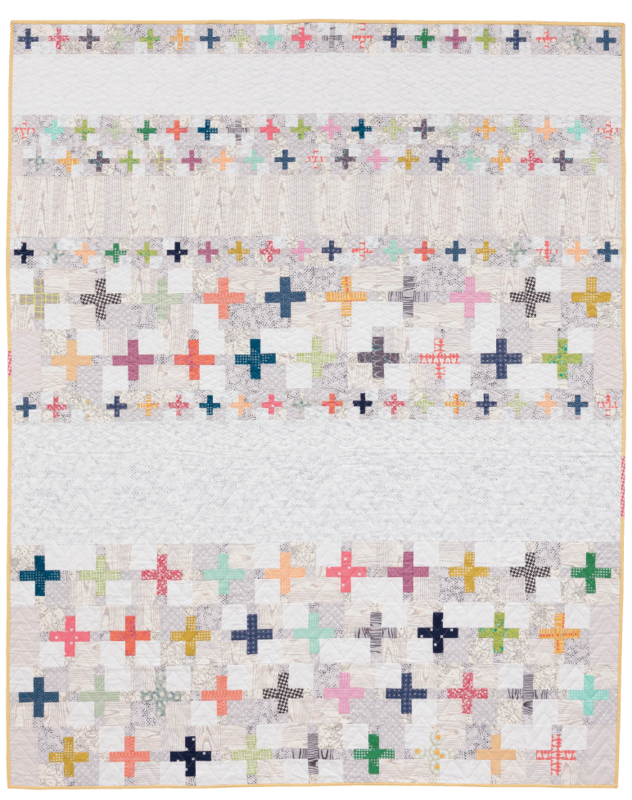 Also, little ‘mistakes’ are what will make your quilt uniquely your own (you don’t have to be perfect). I’m up to 22 blocks, I liked the embroidery tips as that is one of my weak techniques. Thank you so much for contributing to this sampler, this is the most fun of any I have participated in. Thanks for your giveaway! I’ve made 55 blocks so far and my only tip is – relax and enjoy the journey. Just starting, far behind, intimidated by the very talented participants – don’t get discouraged. Just HAVE FUN and be proud of your accomplishments. My favorite tip always is measure twice, cut once! After completing 42 blocks, I am ready to check colors and values ,too! Since I work I don’t have a lot of sewing time and summer activities in the garden are keeping me busy, but when I get on a schedule I try to sew for about an hour every evening. I will either cut the next block and have it ready for my next sewing time or piece the one I set up the night before. So use your time wisely! Starching! I never did it before The Splendid Sampler. I am using a homemade vodka mix. No I don’t drink it, lol! I have only completed 7 blocks and am saving the patterns. Thanks for your block pattern! I cut out several blocks at a time and tend to sew similar type blocks in group. One night to catch up on paper piecing, another night for HSTs, etc. working on several blocks at the same time lets me chain stitch, another time saver. I save hand work for road trips. And favorite tip-I save the “quick” blocks for nights when I need a fun pick me up project. I’ve managed to keep up to date, or at least catch up within a few days so I’ve made 49 plus a couple of bonus blocks. Just printed off #50 to make tomoro morning! My tip, for myself, was to keep on track or I knew I’d lose interest if I got too far behind, I’d punish myself by giving up! I have my SS fabrics in a basket so it’s easy to grab & work from scraps of co-ordinating fabrics, low volumes & teals….Turquoise Males Me Happy!! I’ve only managed to finish 3 blocks before “Life” happened. But all the blocks are saved for when I can get around to them. I have enjoyed watching this journey unfold and seeing everyone’s creativity. That’s been the best part of this entire process. But I guess the my best “tip” for myself is remembering to PRESS. It is a step I hate doing, but if I remind myself to do it after each step I find it helps tremendously. Hi and thanks for the chance to win a prize! We already feel like winners with this splendid group. I have 34 squares done and will be catching up soon as I just got my cast off from a broken wrist. I fell on June 7th and it really got in the way of my sewing !! My favorite tip is from watching Alyssa Thomas periscope videos and her suggestion to use the sticky washout printable sheets for the embroidery blocks. What a difference that makes !! I will always have some on hand. I have only done four worth keeping, but I am new at this. Best advice so far is to just do it – finished is better than perfect! My favorite tip for this sampler has two parts! 1.) I have organized each finished block in a binder, and put the instructions with each one so I know exactly where they are. 2.) By creating a grid and using photos of each of the finished blocks, I have a rough visual of the layout (if I put them in order of the release date!) so I can see what fabrics I have been using a lot of and where I might want to add more lights or darks to give the finished quilt top a cohesive look. Plus it is a good reminder for what ones I still need to finish! I have completed 29 blocks, have a couple others that need embroidery, a few more that are partially pieced or have had the fabric cut out. And I have 3 Bonus Blocks done too! Phew! Thanks for the chance to win! I’ve only finished two blocks but I had two weddings this summer. I have printed all the blocks and reviewed everyone’s completed blocks on FaceBook. My tip would be for anyone who is unsure about choosing fabric. Check out the multitude of completed blocks posted on MySplendidSampler.com and the FB page to see what you like best. The differences in values chosen on each part of a block make an incredible difference. Really analyze what you like or DON’T like about someone’s block and incorporate those decisions in your fabric choices. My favorite finishing took is my 6.5 in square. It helps me trim exactly what is required for an unfinished block. I have completed 49 blocks to date. 08/04/16 Is the Top of the hill Block a bonus block or is is block 50? I love doing this project. I love selecting fabrics, and I love anticipation what is coming. Thank you all. I hope you are very successful. I’m not sewing along right now so no blocks. I am saving blocks instructions to use later. I loved to hear that you added additional fabrics (fat quarters) to your assortment. I tend to do the same thing and it’s fun to hear I’m not alone. My quarter inch foot with an edge is my favorite tool for quilting. I’ve saved the blocks each week; and have just made two!! I actually look forward to the book, to see samples of finished quilts to help further inspire me. I will set my own timetable to work on these blocks, as time and life permits. My tip: Focus on only one block at a time, (making 100 blocks can be overwhelming); and stop feeling behind in the process (because new people will continue to join in on the fun). Sadly, I’ve only gotten 9 blocks made so far so I’m not a reliable source for tips! HOWEVER, I have been printing out the pattern for each block and numbered them and put them into a binder for when I can catch up. I’ve made 48 of the blocks and I love using super fine pins for piecing and Heat and Bond for applique. I haven’t made any of the blocks yet, but I have collected all of them and have my fabrics finally picked out. I plan to start this week! My tip is to watch Alyssa Thomas on Periscope! She is the one that convinced me I could actually do this! When drawing the diagonal line on the back of blocks for the half square triangle blocks, I used a cheap sticky floor tile. I use a large tile from an outlet store, peel off the paper backing and use the adhesive to stick on a piece of fine grain sand paper. Then I just lay the fabric on the sand paper when tracing on fabric and it holds the fabric nicely and I can still mark the line. Well, I’ve almost finished 1 block! I just discovered the Splendid Sampler in July, though. I’m also new to quilting so I guess a good tip is to make sure your rotary cutter is sharp!! I have been using my Deb Tucker rulers. My favorite is the Wing Clipper to trim flying geese. With this method you make 4 geese at a time. I also like the Tucker trimmer I to trim HST. I’ve completed 19 blocks. My tip is to keep the patterns in a binder and mark a big “DONE!” on the top right corner of the ones completed. I’m a bit behind, about 35 done and counting but loving eachone!!! My tip: Pacience!!!!! Mostly with those techniques you almost hate :-))))) give them a try!!!! Thank you to you all!!!! My recommendation is to use glue stick to glue the seams together so that we can get nice sharp points. I have about 36 or 37 of the blocks completed. My tip is the choose fabrics for several blocks at a time and put each block into a plastic bag to be sewn as time allows or when you are not inspired to choose fabrics. A fun project! I have finished about 45 of The Splendid Sampler blocks. My favorite new tool is spray starch–works wonders keeping these small pieces straight. I am 0lmost finished with block #50. One of the many tips I’ve learned is the importance of starch. It makes piecing the little pieces so much easier. I’ve also figured out where to move my needle to get precise 1/4″ seam allowances. I love the surprises each week and the challenges tha designers give us. If you get stumped or you think a block looks to hard, remember it is only one block so give it a try. You will learn something along the way. Watch Alyssa’s videos, read Joan’s tips before you start. Go to the designers web site and see if there are any special hints. Best tip is use starch liberally! I have finished 30 blocks and find it so much easier to work with the small pieces if they are starched. The most important tip is – this is a journey not a race. Enjoy it and and remember the ‘quilt’ police can’t find you so do the blocks you want and skip those that you don’t like or feel you just can’t do. There are plenty of patterns for 6 1/2″ blocks if you feel you need 100. The best tip I can give is to make sure you starch all your fabric before cutting and then again starch your pieces before sewing. I have finished 23 blocks. I also love pins especially thin, sharp and with glass heads. My quilting has come to almost a complete halt. Hopefully soon to change. My husband had a knee replaced in Nov., and was just about healed from that when he fell and broke the same leg. Much different than replacements. He has not been able to place any weight on that leg since mid May, and we live in a two story house built just after WWII. He goes in next Friday to see if he can start rehab. Say a few prayers. The moral of this story is: DO NOT BREAK A LEG in spite of what they say to actors. I am saving the patterns so I can make them soon. My tip is that i have some stickers that feel like sandpaper that i attach to my cutting rulers. It helps keep the ruler in place when i am trimming fabric. I got the stickers at my local craft store. I have been busy with my farmers wife and finishing up other projects so all I have done is just downloading and printing. The only tip I have is to use sheet protectors to keep each block in for storage. I always press and starch my fabric really well before cutting. This cuts down on distortion and fraying and with small blocks that’s a must. Also, cut as accurately as you can and check your measurements during the piecing process instead of after the block is finished. I have completed 26 blocks. I have another 6-8 cut out and ready to finish. My best tip is to measure the smaller sewn units to make sure they are accurate before sewing the whole block together. A little too big or too small can alter the block significantly. Thanks for the draw. I have found that starching my fabric has helped. I am the worst person to cut out things. i find they dont match but then I just do it over again. I have 20 blocks done so far. I have finished 49 blocks. I guess my only tip is: I have a box I store the fabrics i have chosen for the sampler, when a new block comes out i just grab fabrics from the box I don’t really take too much time to plan because all my fabrics coordinate already so I can quickly get to my sewing. I pulled fabric to do the blocks but it was too dull so I waited for inspiration to strike. It finally did today! I knew I wanted something different for me but bright. This morning I thought of the box of Cotton and Steel I had purchased several months ago. So I’m off to start block 1. As far as a tip – I’ve learned that I can get more done if I’m prepared to sew in smallbits of time. So I’ll prep or sew something to the point it needs handwork and then I’ll put it in a small bag to take with me to a drs. appt. Sometimes I can get through more than one little project while waiting. Once home I feel like the elves have visited! I’m new to your website and all your blocks. Any tips I can get will help me in the long run. I’m open minded and motivated to get sewing. I’ve downloaded all of the patterns but have only made the first 2. My tip whenever I’m making blocks with small pieces is using lots of starch on the fabric before cutting. Makes a world of difference! My tip is read all the instructions 3x! I got waylaid when I went on vacation and haven’t had a chance to get back to the blocks. But I’m looking forward to making 2 quilts when I get the blocks done. 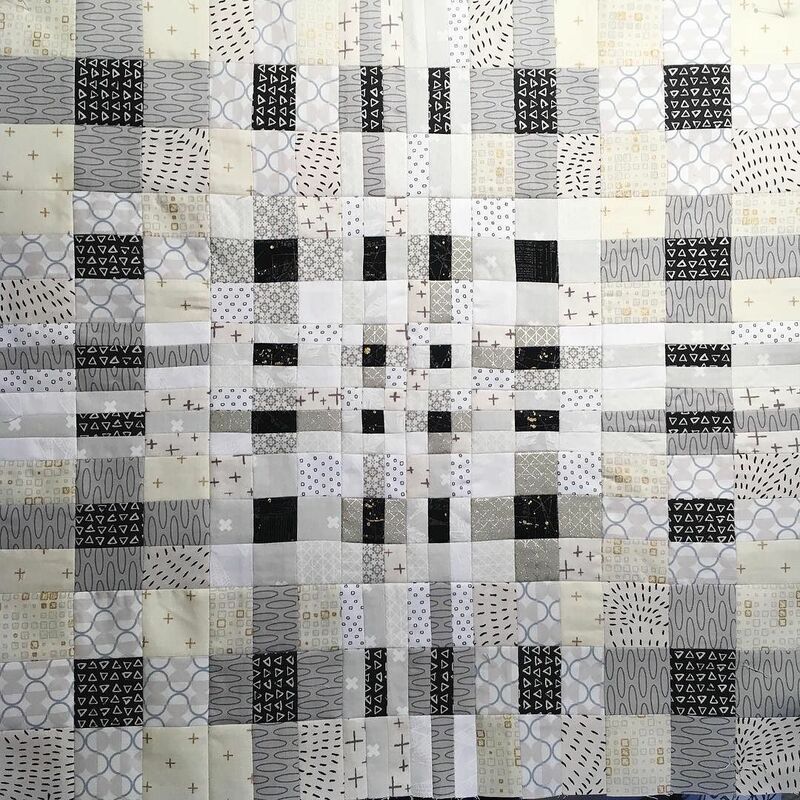 I am waaaaaayyyy behind, but my best tip for piecing some of these blocks with many small pieces is to have a stiletto handy and use it to hold the small pieces in the correct position under the sewing machine needle when fingers won’t do it. If I don’t have a stiletto, I use the tip of my seam ripper, a pin, anything that will keep those tiny pieces in position until the very end of the seam. I used the perfect 1/4″ seam guide from Gateway Quilts and Stuff and a stripe of molefoam to mark my 1/4″ seam on my sewing machine plate. That helped me a lot with the small blocks. I have only made five so far. I have only made 2. Eventually I will get caught up. My tips are, measure twice, cut once. Take your time sewing to get that perfect 1/4″. Enjoy the process and laugh at yourself when you goof! Checking my seam allowance when starting my machine, and using starch are my go-tos for piecing small blocks. I’ve only made 15 blocks so far! I liked the starch the small pieces tip. And I’m like another commenter who said she hadn’t started yet. I’m definitely a big wanna-be Splendid Sampler block maker. And I’ve been keeping up with all the blocks and want to get started!! 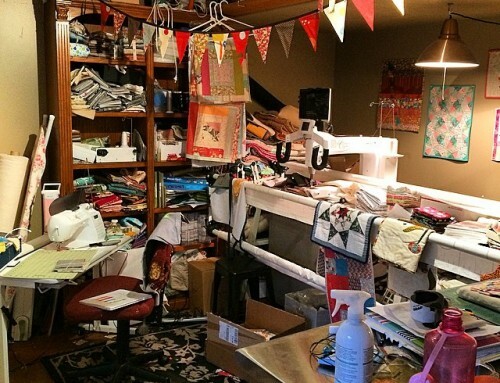 I’m right in the middle of renovating an empty bedroom to become my sewing room. Hence, no sewing until it gets done! Thanks for the chance to win. Getting ready for #1! [ Had surgery on hand]. I would have to say using all of the starch. I have never attempted a six inch square before. I have 35 blocks done, and have starched, starched and starched to keep all those tiny pieces managable. About 30 are done and another 4 are cut and waiting for a “sew-sew” day. My challenge to myself this year is to learn to work with the smaller pieces that make 6″ blocks. So far, I have suceeded! Sadly, the timing just wasn’t right for me to follow along with making these blocks. I’ve kept track of my favorites, though, so I can stitch them up when I have time. Taking one block at a time would be my best advice. My way of doing the blocks is to sort through them and do the ones that use similar techniques. I have finished only six of the blocks so far because I keep changing my mind about the colors. I have completed 60 blocks! that includes bonus blocks. I love this splendid sampler journey. I encourage all involved to TRY all the techniques, you may find a new favorite. I did! my favorite tip is to use a standing document holder (clear acrylic type) to put your pattern in. I use mine to hold the directions while I cut out the pieces… then I don’t loose it under all my scraps of fabric, it’s right there standing up to refer to as I go. I am using a neutral thread for all my piecing. It lets me go and go and go. I have completed 5 blocks and a few more prepped. 45 blocks. It has been fun! I have 25 blocks, with another 2 prepped. The 2 things I have used for every block so far has been spray starch and 6.5 inch ruler. I have done all the blocks, phew! While doing these blocks, I have discovered that if you iron the flying geese, before cutting the extra fabric off, the corner triangle doesn’t stretch out of place as easily. I have done 42 blocks so far and hope to catch up on the rest this weekend : ). My top time is not to stress about the process, have fun and try everything, you may discover a new love – I have with embroidery and paper piecing. I’ve done 44 blocks so far. My tip for keeping up is that I try to select the fabrics for the Thursday block on Thursday, then I try to finish that one on Saturday. Then Sunday I try to do the Sunday block. For blocks with a lot of handwork, I get everything prepped so that I can do the handwork while watching movies in the evening. I’ve also considered going into early retirement just to focus on keeping up! Kidding… just kidding… Thanks for hosting the giveaway! I’ve done all 50 plus about 10 or so of the bonus blocks. Starch has been my friend on these little blocks! My tip would be: don’t put off the block you’re afraid of. Jump in and do it. It probably won’t be as bad as you thought and might become your favorite technique. I love the crispness of paper piecing but doing it seems so backwards that it is not my go to technique but I love the PP blocks of our SS. And doing the embroidery takes soooooo much time but I love the results! I have 46 blocks including bonus blocks finished and several more in various stages of completion. Thank you so much. I have completed 37 plus a handful of bonus blocks. LOVE LOVE LOVE this project! Thank you for sharing your talent with all of us. My best tip is to just have and enjoy the process! Take a laid back approach. So far I have completed 49 of the blocks along with some of the bonus blocks. It has been a fun journey. I usually am a needle turn applique person but decided to do machine applique on this project. I’ve enjoyed becoming better at machine applique. I have 42 blocks done and 4 queued up, ready to work on. Favorite tips and/or tools? Love my 2.5 inch bloc-loc for squaring up all the HSTs. Doing intermediate measurement and tweaking of block subunits helps me hit 6.5 inches more reliably. When I’m trying something new, I look at the various tutorials linked with the block and check out Alyssa Thomas’ videos- I have learned SO much! Oh, I am so envious and impressed by those who are completely caught up! I am loving following the Splendid Sampler journey and am all caught up at downloading and saving the patterns — does that count for anything? My tip is to download and save the patterns as they come out so that you have them ready in a folder on your computer. Then there is no need to hunt through your emails or on the website for the patterns you need, and if you lose internet connectivity, you can still access those precious patterns! I have downloaded all 50 so far, they are in my “The Splendid Sampler” file folder. 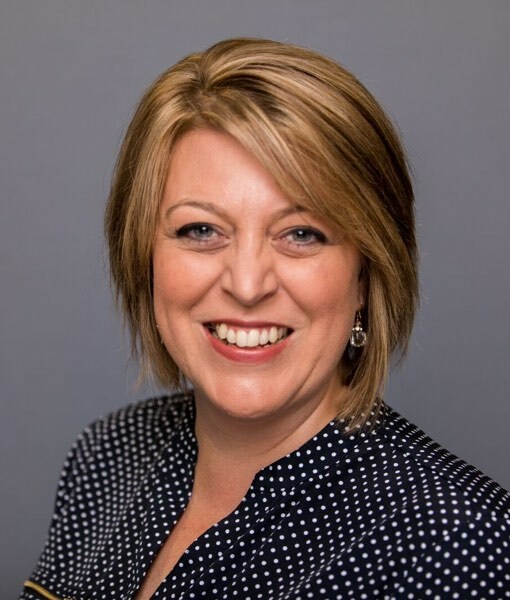 My tip is the same as Karen Seitz, to have them downloaded and ready to start. I also love reading other people’s tips, they are all so helpful. I have been busy cheerleading Melissa as she works on all the blocks and I just finished binding one of Pat’s quilts. It was so darling, all the blocks together are soooo cute it was all I could do to send it back. If that doesn’t spur me on to making one of my own, I don’t know what will. Can’t wait to see you new book, you do such great work. Love it. Thanks. Starch is your friend for the small pieces required in these blocks. 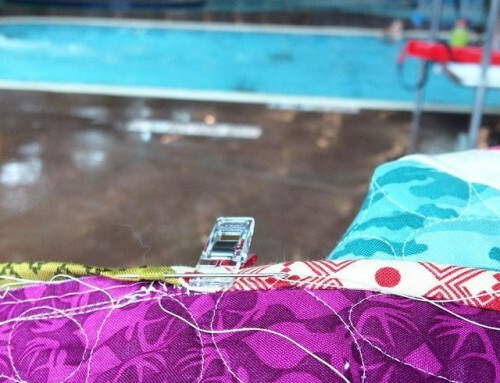 I have sewn 22 blocks – My tip: Actually take the time to try one of the methods! You never know what you might like. I have made 25 blocks. My tip: sew slowly..rushing things just seems to screw up the perfect 1/4 inch seam! My favorite technique for getting the blocks done was to make a list of each block and the technique employed. That way I can group blocks with similar techniques together and get them done faster. I am going to have to save all these great tips. I need them. I have only tried a couple blocks, but I really would like to do more of them. Hi Amy, I am a beginner quilter, so far I am collecting the block patterns! 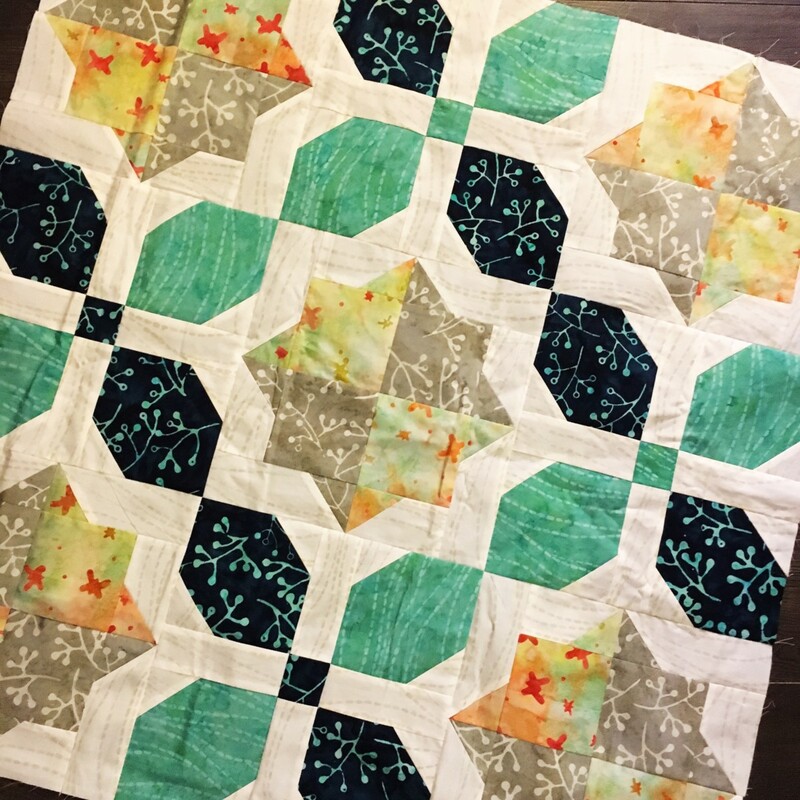 Thank goodness I have taken classes in piecing, appliqué, embroidery( hand & machine),quilting, paper piecing & will take a class in Nov. 2016 on hexagons! I have done yoyo’s! So I am good to go when I do them! Thank you for your contribution to the Splendid Sampler!!! I try to do the easiest for me first. I have done all but 2 blocks and almost all bonus blocks. My favorite quilting tool is ‘Best Press’. Thanks for the giveaway opportunity! I haven’t made any blocks yet but have been saving them to do. Since there are some small pieces I would probably starch my fabric. My best tip is to choose and isolate a group of fabrics for this quilt ahead of time! I have selected 1930’s prints for all of the blocks – and I have all of the directions in a special binder! I have made 49 blocks. No special tip… Thank to all designers for your work! I came to the party late, I have finished 12 blocks so far. I have two tips: 1) Buy a 6.5 square ruler, so helpful! and 2) Before you start sewing, make sure you have a scant 1/4 seam or your blocks will be too small. As for me, the first tip is that I try not to lock myself into a specific fabric line. Lots of fabrics go together, and I try get different fabric lines to play together. I have all of the patterns printed and placed in a binder but have not been able to start them as yet. My tip would be to store cut pieces for each block in a baggie and to keep all of them and completed blocks in a large bag or box. I’ve made 3 SS blocks. My tip is to use a piece of batting or the audition book from the bonus projects to layout the small pieces while waiting to sew them together and keep the gathered pieces away from the attention of the house pets! I finally put all of the fabric selections and the blocks ready to sew in a flip top crate of which I can close the lid when I see the cats coming in for their demanded attention! I am on my 2nd and 3rd quilt ever…so my advise at this point is to sew with experienced quilters. A its fun to sew with a group and B: theres always several ways to get from point A to point B and when they share that I can choose which option i like best or works best for me. 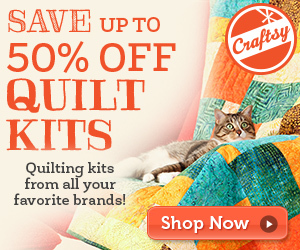 I’ve truly enjoyed quilting and my new quilting community! My new favorite thing is to use Flatter to press out folds and creases in my fabric before cutting. They disappear like magic and the fabric is still soft and pliable! Hi, thanks for the giveaway! I have 12 blocks done and the best advice I can give is starch…like crazy!!! I have only sewn 20 so far. My tip is to keep everything in a binder,( patterns and finished bocks.) I also keep a “to go bag” with all of the hand work blocks. That way I can stitch SOMETHING where ever I am -ball games, dr office, while my husband is driving!